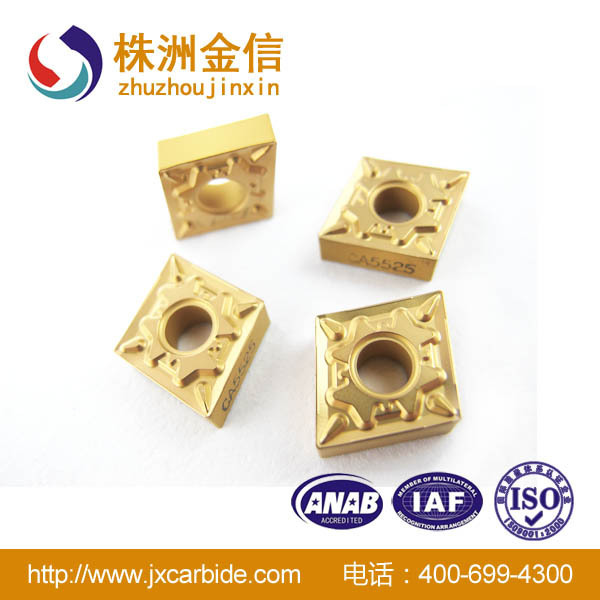 cemented carbide cnc insert for turning, milling, cutting, grooving, roughing, grounding, polishing. Good edge security in toughness of the matrix MT-TICN, thick AL2O3, an excellent mix of TIN coating; suitable for semi-finished steel. High strength in anti-thick AL2O3, combined with the plastic substrate and MT-TICN TIN coating; with good toughness and plastically deformable, suitable for steel roughing. High wear resistance matrix and MT-TI (CN), thick AL2O3, an excellent mix of TIN coating materials suitable for cast iron finishing and semi-finishing. Special organizational structure of the base body and TICN, thin AL2O3, TIN coating combined with good impact resistance and resistance to plastic deformation, but also has good impact resistance, suitable for stainless steel finishing and semi-finishing and roughing. Good toughness and strength of the matrix and TICN, thin AL2O3, TIN coating combination, for stainless steel semi-finishing and roughing. CVD efficient processing new grades of stainless steel, widely used in large cut deep into the field to the efficient processing. The use of advanced ultra-fine grain nano-coating technology, with high toughness gradient alloy matrix, high performance, large depths of cut, high feed, high-speed cutting process with excellent cutting performance. TICN thick and thick AL2O3 coating, while improving the toughness, wear resistance has greatly improved, finishing to semi-finishing of steel ideal for high-speed cutting. Cutting speed can be increased by more than 25%, at the same cutting speed, tool life can be increased by more than 30%. Using thick and thick TICN AL2O3 coating, a strong plastic deformation resistance and edge strength of steel from finishing to roughing general election receive grades. Or severe conditions have stabilized at a high removal rate performance cutting parameters, and can achieve a greener dry cutting. Cutting speed can be increased by more than 25%, at the same cutting speed, tool life can be increased by more than 30%. 2, reduce economic costs, improve service life of nearly 40% -50%. CVD coated grade, (thick AL2O3 + thick TICN) coating the substrate with a hard, smooth surface, fine grain. When gray cast iron dry high-speed cutting reflects the excellent wear resistance. CVD coated grade, (thick AL2O3 + thick TICN) coating the substrate with a hard, high-speed machining in nodular cast iron reflects the good wear resistance and impact resistance. CVD coated grade, (in the thick AL2O3 + thick TICN) coating the substrate with a hard, good spalling resistance, suitable for high-speed turning of cast iron, it can withstand moderate speed when minor interrupted cuts, this grade iron is applied also when there is a strong universal milling. CVD coated grade, (in the thick AL2O3 + thick TICN) coating the substrate with a hard, good combination of wear resistance and toughness for cast iron toughness requirements (such as nodular cast iron) in low wet milling, but also for intermittent condition turning under. ● special coating process, the blade surface smooth, reduce friction and chip more smoothly. ● good thermal and chemical stability to provide more effective protection for the cutting edge. Applicable to the workpiece is relatively small, high surface finish requirements processing areas. Add abrasion and high temperature rare elements ultrafine TIAIN nano coating, high temperature coating hardness and excellent performance provide effective protection for the cutting edge, a special coating processing, coating and substrate binding firmer for stainless steel precision turning. NC-TIAIN coating the substrate with the fine particles, applicable to all types of finishing materials and superalloys fine, semi-fine turning. NIC-TIAIN strength and toughness of the coating and substrate binding ultrafine particles, fine processing is applicable to all types of materials, semi-intensive and high-temperature alloy turning rough turning. NIC-TIAIN coating and toughness cemented carbide substrate bonded to the substrate, for all kinds of work material is cut, grooving processing, to achieve the perfect combination of safety and wear resistance. High CBN content PCBN grade with good hardness (HV3400-3800), thermal stability, thermal conductivity and good wear resistance, mainly used for cast iron, iron-based P / M materials and heat-resistant alloys, high-speed high-precision machining. Good thermal stability and relatively low thermal conductivity, mainly for hardened steel (HRC45-65), high-speed, high-precision continuous or intermittent slight cutting, dry machining is recommended as far as possible. PCD grade medium grain structure with high hardness (HV7000) excellent wear resistance and thermal conductivity is mainly used in non-ferrous metals (AL, CU and alloys) and non-metallic (ceramics, wood and reinforced plastics, etc.) high-speed, high-efficiency and high-precision machining, is a universal good PCD grades. carbon amount will vary depending on forming agent different type, quantity and sintering process change. can be oxides, if removed in vacuo to a forming agent and sintering, carbon and oxygen reaction is not strong. recovery and recrystallization, surface diffusion began, briquette strength increased. form the basic organization and structure of the alloy. a number of Chinese patents. We are deal with all the cemented carbide products. 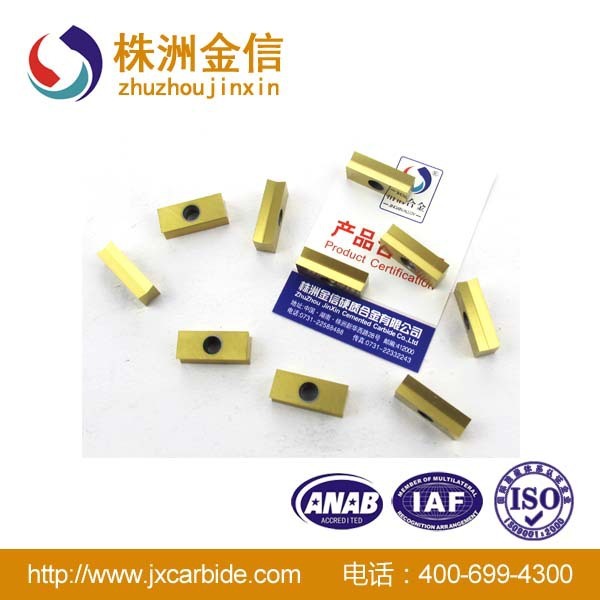 carbide rods, carbide dies, tungsten steel mold, shaped alloy (non-standard carbide). NC Tool Division: professional production of carbide inserts, CNC blade, CNC tool. and other non-standard shaped products deep processing. oil drill bits, PDC drill, hammer, etc. 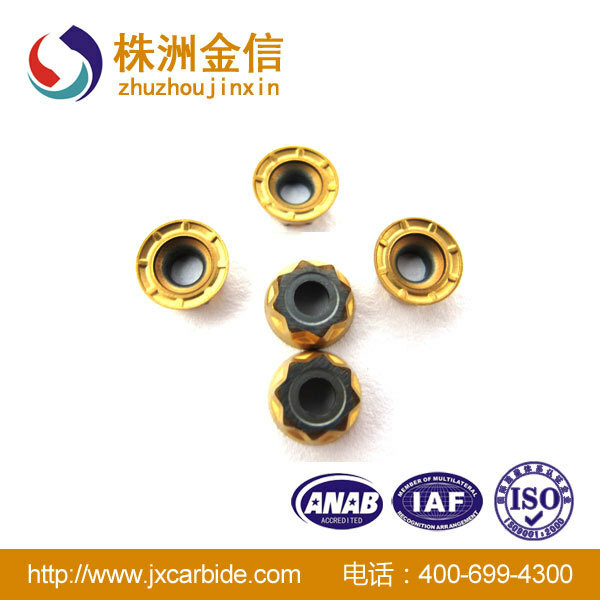 Tire studs Division: Professional design, production of various types of tire studs for motorcycle, racing, cars, outdoor shoes, etc. molybdenum reflective screen, tungsten / molybdenum supporting parts, tungsten / molybdenum cover and stainless steel matching sheet. The company's products many models! The company based on customer requirements, customized non-standard, special products! The company profiled carbide, mold precision machining products!